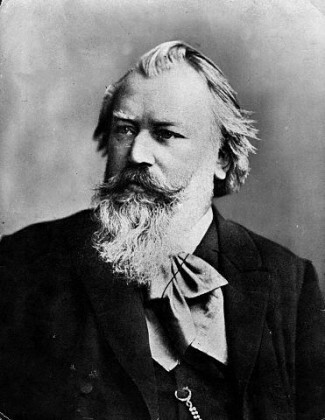 Brahms (photo) is on the calendar to open Bargemusic’s weekend on Friday evening, November 30 at 7:00, with a concert of his works to be performed by Bargemusic’s Artistic Director Mark Peskanov on violin, Evan Drachman on cello, and Doris Stevenson on piano. On Saturday evening, December 1 at 6:00 and again on Sunday afternoon, December 2 at 4:00 members of the Semplice Players will perform Haydn’s String Quartet Op. 51, “The Seven Last Words of Christ.” Also on Sunday afternoon, starting at 2:00, pianist Jerome Lowenthal will play works by J.S. Bach, Chopin, Scriabin, and Liszt’s piano arrangement of the first movement of Beethoven’s Fifth Symphony.